In 1994, JoAnn came to Farmington, Connecticut for the express purpose of founding what has become Fairview Capital Partners. Encouraged by members of the NAIC, JoAnn became the catalyst for significant change in the way institutional investors approached diversity through investment. Today the entire industry’s lexicon and initiatives around emerging managers and diversity in private equity investment can be traced to JoAnn’s pioneering efforts, and Fairview, with nearly $4 billion under management, has now been actively investing for over 20 years. 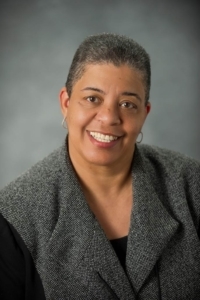 of Hartford Communities That Care, board member of the Connecticut Board of Regents for Higher Education, and also serves on the Board of Advisors for the Wilson Gray YMCA. JoAnn has been an active member of the Union Baptist church in Hartford, and is currently serving as Chair of the Trustee Board. She has also been the recipient of numerous awards in the community, most recently as the 2017 honoree of New York’s nonprofit LIFT, as the 2015 recipient of the Greater Hartford Torch of Liberty award, presented by the Anti-Defamation League, and awarded as the Village’s Woman of the Year in 2014. JoAnn leads by example and is not shy about encouraging her colleagues at Fairview to get involved in the community. At this point Fairview professionals, largely through her direct encouragement, are involved in Hartford community organizations including the Mark Twain House, the Greater Hartford YMCA, the Bushnell, the Hartford Symphony Orchestra, the CT Children’s Hospital, the Urban League of Greater Hartford, Camp Courant, the UConn Research and Development Foundation, the CT Science Center, the Amistad Center for Art & Culture, and the Edward C. & Ann T. Roberts Foundation. of her husband of many years, James Price, now a retired Tax attorney. JoAnn is a graduate of Howard University.